About: Animals Eat Their Veggies Too! 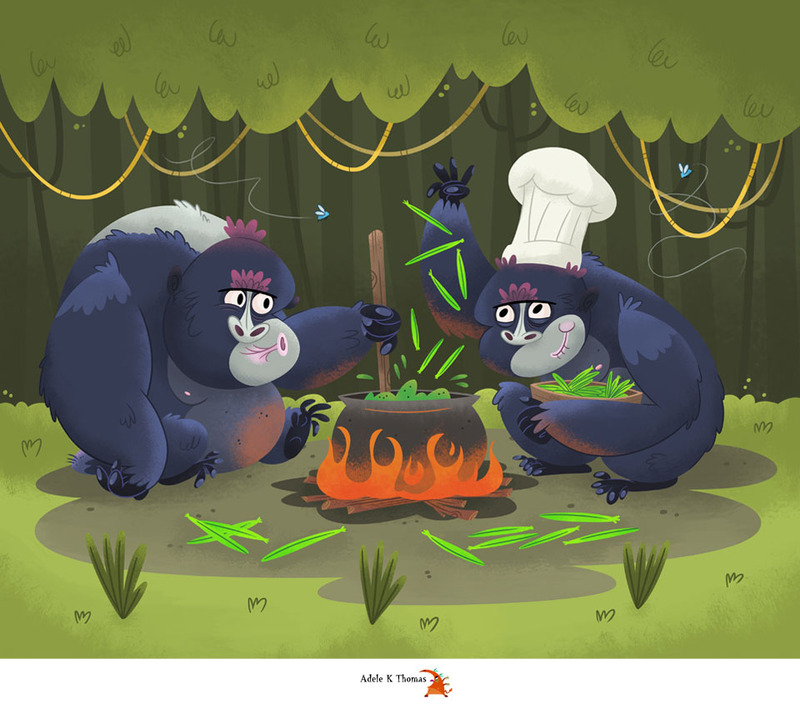 is a whimsical rhyming children's picture book. 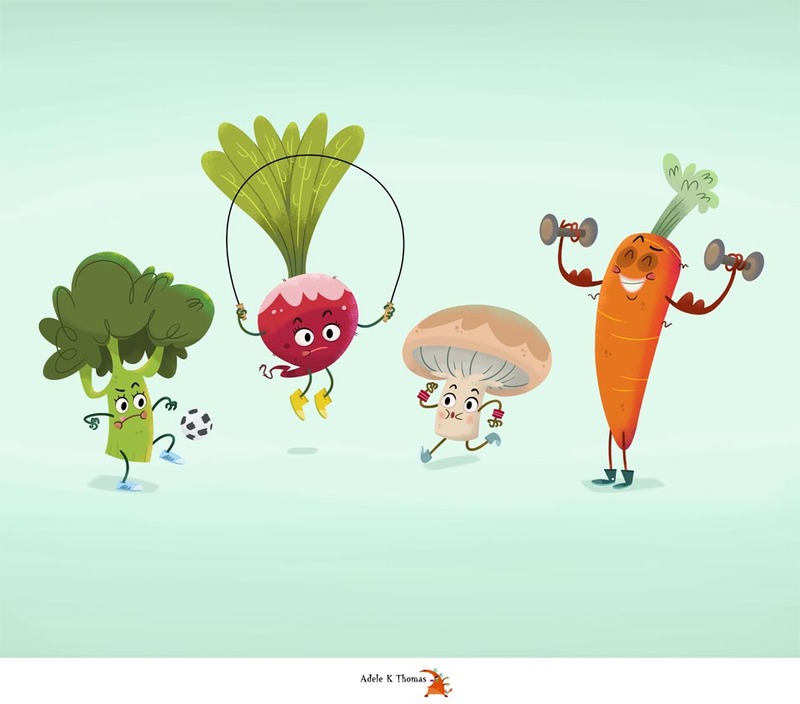 It aims to make vegetables fun, and a normal part of a child's everyday diet, through imaginative story and humorous animal illustrations. Story: One evening a little boy named Harry is playing and pretending to be a lion before dinner time. His mummy calls him to come eat a meal of vegetables which his daddy has cooked. But Harry only wants to eat meat like a lion. So his mum and dad think up a story about which animals like to eat their vegetables, hoping to encourage Harry to not only eat his veggies but enjoy them too. Here are a selection of illustrations from the book. - Copyright Adele K. Thomas 2017. - Available to buy now!